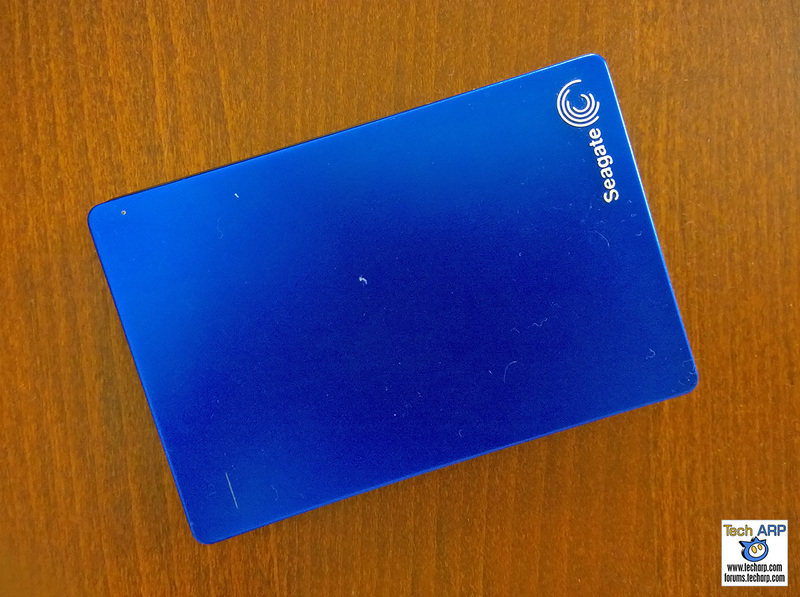 This Seagate portable drive used a Samsung Spinpoint M9T hard disk drive. 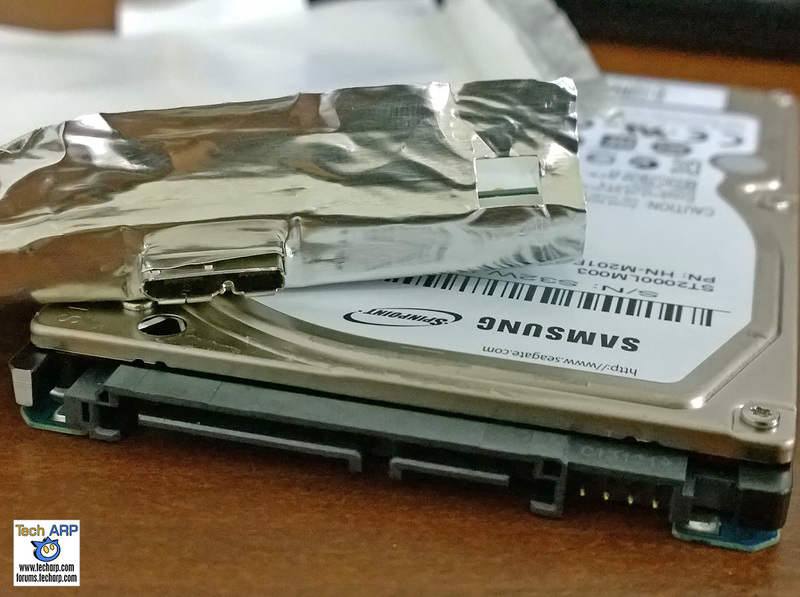 This is no surprise since Seagate bought Samsung's hard disk drive unit in 2011 for $1.4 billion. Hence, the Momentus branding at the lower right corner of the drive. 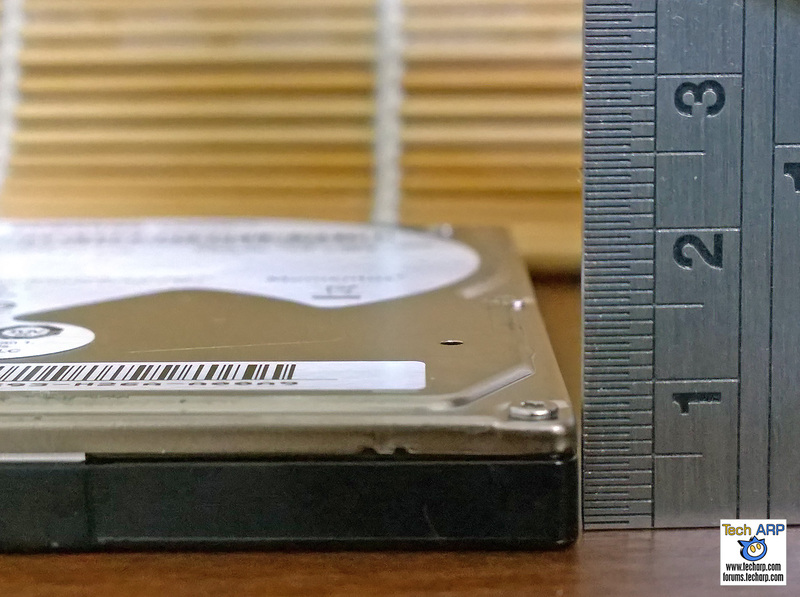 This is a 9.5 mm notebook hard disk drive with a 3-platter design, and a 32 MB cache. 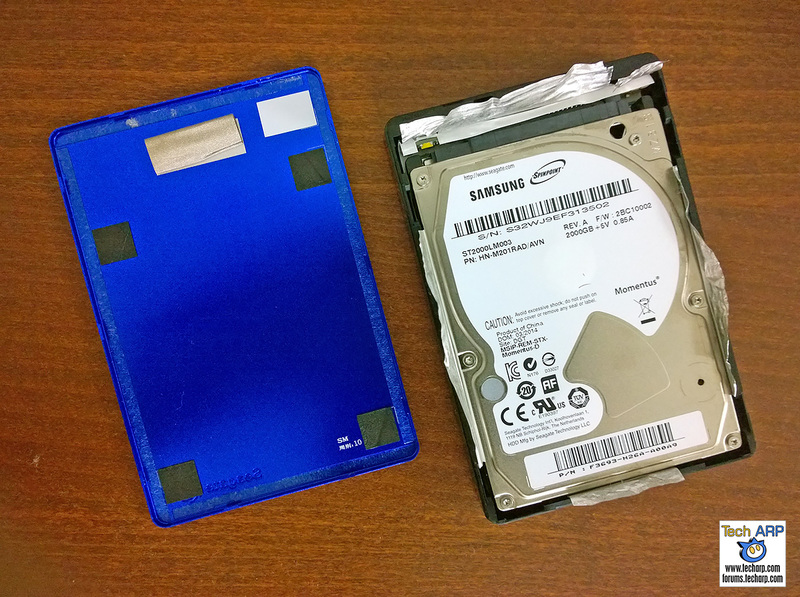 The use of the Samsung Spinpoint M9T drive allows Seagate to create a slim drive. That wouldn't be possible with thicker 15 mm drives. 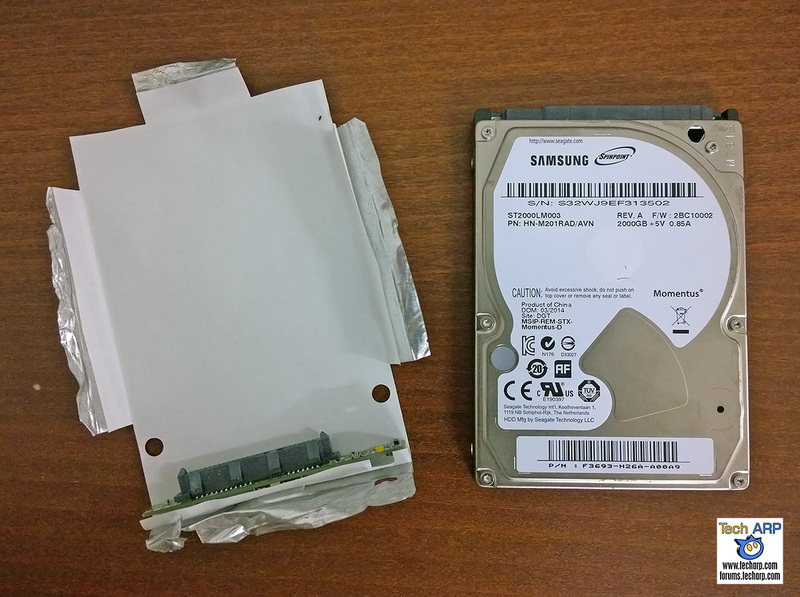 The 2 TB Seagate Backup Plus Slim drive os is basically made up of the Samsung Spinpoint M9T drive and a USB 3.0 adaptor you see below. 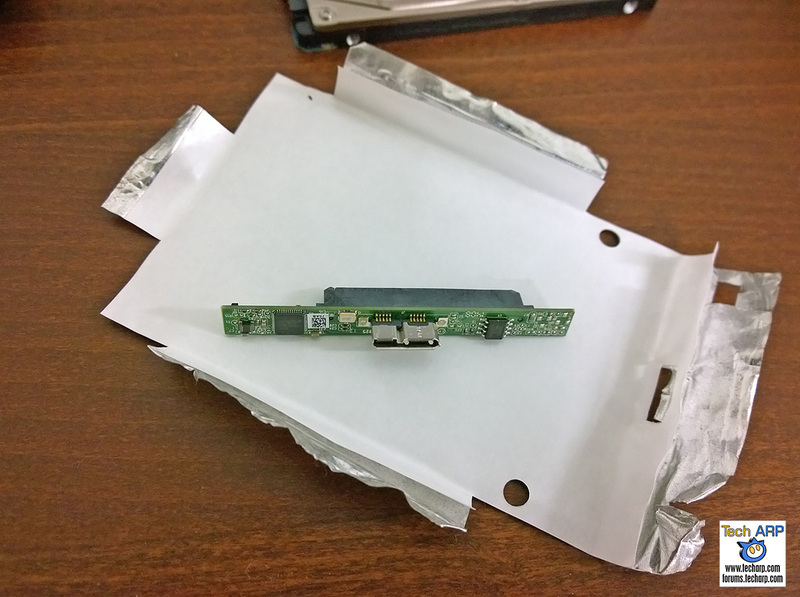 According to Adrian, the 2 TB Seagate Backup Plus Slim uses a snap-fit enclosure so you can reassemble the drive multiple times, as long as you are careful. The aluminium top cover is the most delicate and can bend easily if you apply too much pressure when trying to pull it open.